Volta, Pascal and Vega are the names of GPU architectures used by Nvidia and AMD for their graphics cards. All these GPU architectures govern the card’s performance in games or in professional work. Newer and latest GPU architecture offers significant greater performance than the older ones. Some GPU architectures are designed more for gaming and some are designed especially for compute performance, deep learning or professional work. Volta and Pascal are GPU architectures from Nvidia while Vega is from AMD. All these GPU architectures have their own pros and cons and here I going to compare them all based on their performance, technical specifications & other details. You can also check out the Pascal vs Polaris and Vega vs Pascal GPU architectures comparison from the links given below. Pascal is an advanced GPU architecture from Nvidia for its GeForce 10 series gaming graphics cards and P series Quadro workstation graphics cards. 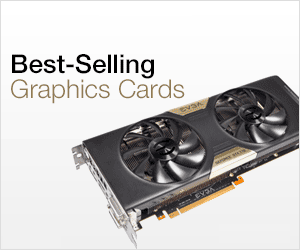 Graphics Cards using the Pascal GPU architecture are built on 14nm / 16nm FinFET manufacturing process. The main processing units or pixel processors here are called CUDA Cores. Greater the number of the CUDA Cores, the powerful will the card in the same GPU architecture, which here is Pascal. Pascal GPU architecture supports GDDR5, GDDR5X and HBM2 memory. You can find GDDR5 memory in budget GPUs & mid-range graphics cards and GDDR5X memory in high-end Pascal based graphics cards. HBM2 memory finds its place only in top-end workstation graphics cards. Pascal is the successor of the Maxwell GPU architecture and is quite powerful and power efficient compared to Maxwell and AMD Polaris GPU architecture. Other major features supported by Pascal GPU architecture are VR support and NVLink (for workstation graphics cards), which is a high bandwidth bus between GPU and CPU, and multiple GPUs. The maximum transfer speed offered by NVLink is between 80 and 200 GB/s. 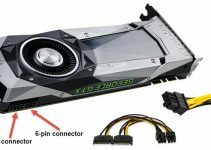 Pascal supports DirectX 12, OpenGL 4.5, Vulkan, Multi-GPU SLI Technology (in high-end GeForce 10 cards only) and G-Sync variable refresh rate technology to prevent screen tearing in games. You can also find mobile Pascal GPUs in laptops too. Vega is the latest GPU architecture from AMD. It is the successor of the Polaris GPU architecture. It is also known as GCN 5th Generation architecture. The architecture is built on the 14nm FinFET manufacturing process (7nm for AI GPUs) and is used for both gaming and workstation graphics cards. Vega supports HBM2 memory which is a high bandwidth and very fast memory, needs less space on the PCB and also has lower power consumption. The main pixel processing units here are Stream Processors and higher the number of stream processors, the powerful will be the card in the same GPU architecture and over the older GPU architectures. 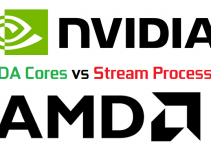 It should be noted that we cannot equate CUDA Cores and Stream Processors just on their numbers because both are different technologies and are based on difference GPU architectures. The two main Vega based graphics cards are Radeon RX Vega 56 and RX Vega 64. Both these graphics cards are very powerful and are meant for 1440p gaming. Apart from gaming and workstation performance, Vega graphics cards deliver great performance in cryptocurrency mining (Ethereum, Zcash etc.). In fact Vega based graphics cards are considered best for cryptocurrency mining use. Vega supports DirectX 12, OpenGL 4.5, Vulkan API and has got FreeSync 2 which is a variable refresh rate technology from AMD to prevent screen tearing in games and provides buttery smooth gameplay. The successor of Vega GPU architecture will be known as Navi. Vega also finds its place in laptops or notebooks in integrated APUs. Volta is the latest GPU architecture from Nvidia that packs great amount of power. It is built on the 12nm manufacturing process and is the successor of Pascal GPU architecture. Along with CUDA Cores, it also has Tensor Cores that are meant for AI (Artificial Intelligence), deep learning or machine learning, and provides much higher compute performance. Volta supports HBM2 memory and high speed NVLink 2.0 that provides much higher bandwidth compared to the older NVLink interface used in Pascal based graphics cards. The first Volta based PC graphics card is Nvidia Titan V, which also happens to be the fastest PC graphics card as of now. The card comes with 5120 CUDA Cores, 640 Tensor Cores (for Deep / Machine Learning / AI) and 12GB HBM2 memory having interface of 3072-bit. 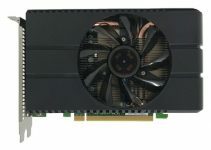 The card offers computational performance of 110 TFLOPS which is really massive compared to other workstation graphics cards out there. We can also expect to see some Volta based gaming graphics cards in near future, but for now this architecture is only meant for professional and workstation purpose only. 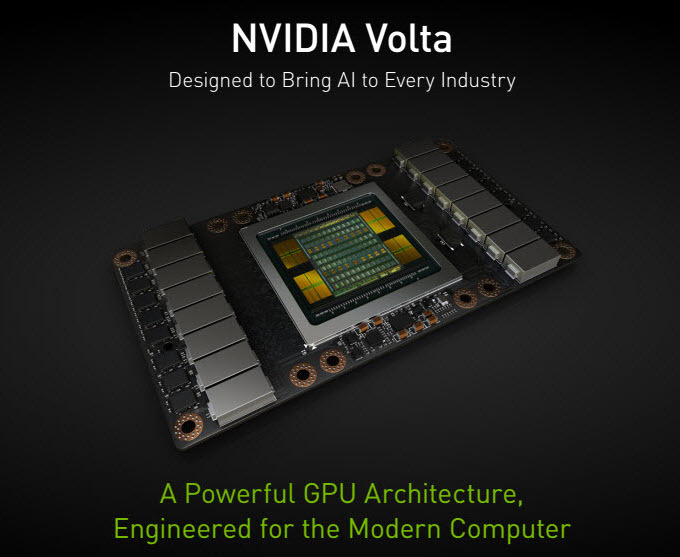 The successor of Volta is Turing GPU architecture. In the below table, you can find a quick comparison between these three GPU architectures. It is no denying fact that GPU architectures are going to get better and more advanced with time. They will become more power efficient, offers better performance and also run a lot cooler compared to the older generations GPU architectures. Currently Volta and Vega are the two latest GPU architectures from Nvidia and AMD respectively. Pascal may be a bit older but still is very powerful and power efficient GPU architecture from Nvidia. If you have got any queries regarding them, or want to suggest something then please leave a comment below. Very nice article. Looking forward to more when the Volta cards for gaming come out.